When trying to maintain an independent lifestyle, there a number of challenges older people must face each day. Whether it be mobility, loneliness, medical concerns or being able to feed the cat, home safety should be not be a tremendous concern. There are a number of ways to make a home safer. From innovative stairlift solutions to physical modifications and simple cleaning, a safe home is a healthy home. To protect the health and safety of your elderly family members or friends, here is a handy room-by-room safety check that you can all do together. Each room presents its own challenges and dangers. Have a look around our rooms to get some helpful safety tips. 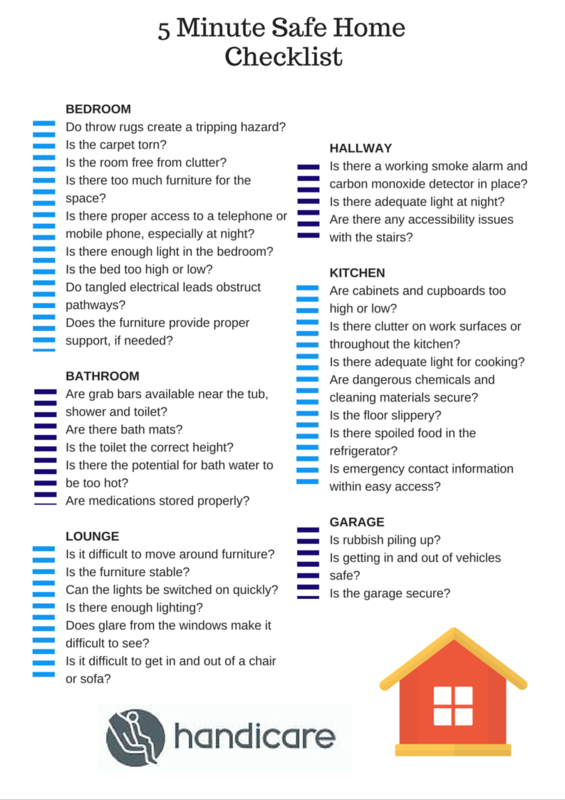 When completed, you can download your own checklist to evaluate the safety of your rooms. In as little as five minutes per room, your house will be safer for elderly residents.